Do you ever see a tender that you think could be a good one…but you’re not quite sure? To be ready for any tender that ticks all the boxes, first have a clear picture of those boxes. Know the unique value you offer customers and use it. The end of the year is a good time to take stock. Rob Nathan, head honcho here at Australian Tenders, started Perth’s first startup accelerator program a few years back and shares his extensive knowledge about how best to understand your potential with a Business Model Canvas and a Value Proposition Canvas. The startup world is awash with great ideas on how to successfully build your business. The knowledge is fresh and interesting and can work just as well when applied to established organisations. Knowing your unique value means that when the right tender comes up you can act quickly and confidently. It is fundamentally important that you understand what value you deliver to the customer and communicate this effectively through your tender response and the tender process. To achieve this we recommend that you develop a clear value proposition. tells them why they should buy from you and not from the competition. Developing a clear value proposition is the first step in writing a tender response and will make the job of a writing the tender response much easier. We recommend using the Value Proposition Canvas and the Business Model Canvas by Alex Osterwalder, founder of Strategyzer. The site is full of free resources that are explained clearly and are easy to use. 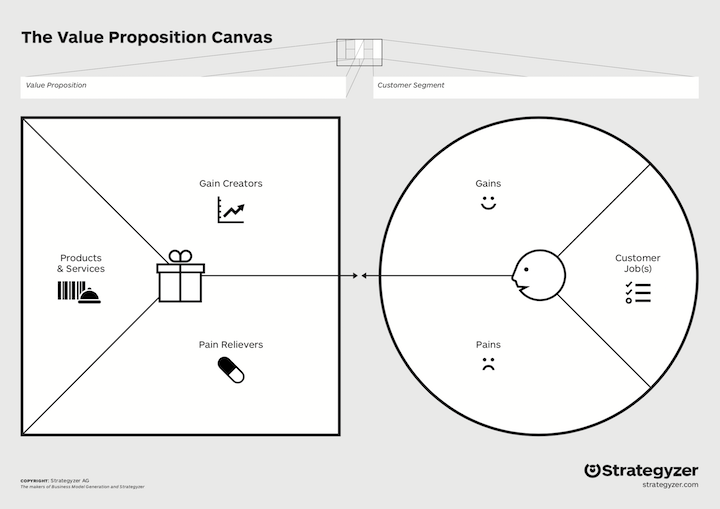 The Value Proposition Canvas is useful tool to help you discover, manage, share and communicate your value proposition. It’s possible that you might have different value propositions for different segments of the market and might create one for a specific customer for whom you are preparing a tender response. The value proposition canvas has two components. With the customer profile on the right you document your knowledge and understanding of the customer including what jobs they are trying to get done and their pains and potential gains. On the left you describe the products and services you are providing and how it alleviates customer pains and creates gains. The goal is to match the two up from which can derive a value proposition. Start with customer jobs: describe what jobs a specific customer is trying to get done. You should have every job listed, major and minor. List every benefit your customer gets in the Gain box. Describe your products and services in the Products and Services box. Describe how your products/services kill customer pains or create customer gains and put these in the relevant boxes. Make sure you clearly distinguish between present and future ideas. Use colour-coding or separate maps. Be extremely honest – investigate your assumptions about your business by talking to customers. Test how well your service relieves pains and creates gains. Focus on unsatisfied jobs, pains, and gains. Rather than write a business plan which no one but you will ever read we recommend documenting your business model in the Business Model Canvas. It’s tried and tested. It describes how you create, deliver and capture value in a single page canvas. 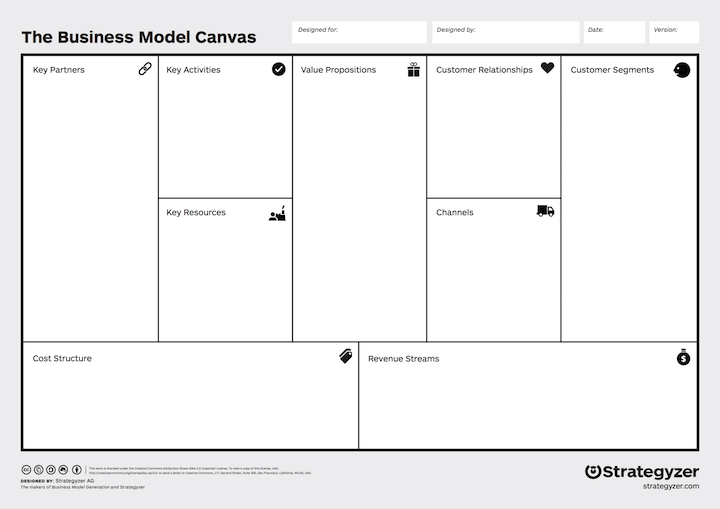 As your business model evolves and you learn more about your customers you can easily update the canvas. Once you have clearly identified how you are going to deliver value to your customer and a profit for your organisation you are tender ready. If you need a hand with the tender document, see our free help resources and chat with someone like Celia Jordaan at Ichiban Commercial Solutions who does this (really well) for a living. Have a go at this single-page business model. You don’t have to be a startup to do this – any company will benefit from a fresh look at the company business model. You can get all the information above free from Strategyzer.